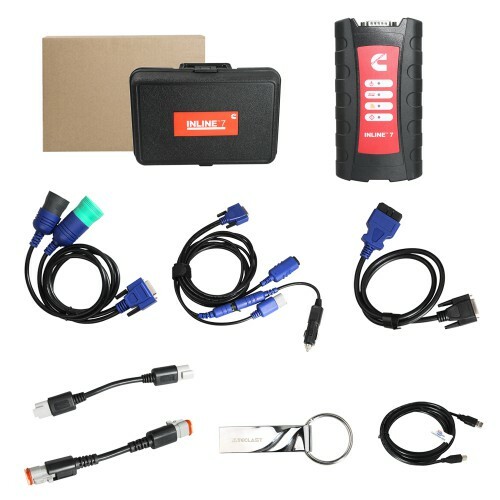 Cummins Inline 7 is the update version of cummins inline 6 truck diagnostic tool .Cummins INLINE 7 Data Link Adapter with 8.3 cummins software support online programming and with multi language.Bellow OBDwrepair.com share you some important tips on Cummins Inline 7 Software 8.3 Cummins. 1.Cummins Inline 7 pacakge software is the pro version 8.3 cummins,support online programming. 2.Inline 7 Software Authorization success can be used for 3 years, each authorization is to use 70 times,customer can authorize 1 times. "after run out of the tokens in 3 years. 3.After activation customer can not change the computer or motherboard or CPU. If it has changed,need to resubmit serial number to factory then customers can activate by himslef. 4.Calibration file in Inline 7 u disk can only be used for 6 months.But the software support downloading calibration file online. Customer need to search for download calibration after 6 months.